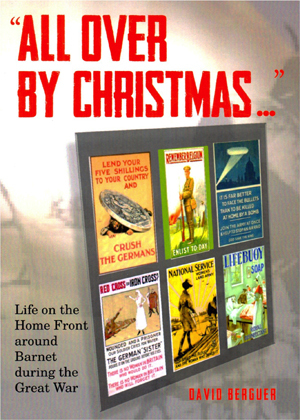 Life on the Home Front around Barnet during the Great War. The appalling loss of life on the Western Front in the First World Was has been well documented. However, while soldiers were losing their lives, their wives and families were undergoing privations on the Home Front. This book tells the story of how the civilians coped with everything from sugar rationing to raids from Zeppelins and how initial patriotism and optimism gave way to war weariness and a realisation that victory was by no means inevitable. With over 140 illustrations and quotations from letters and interviews of those left at home, this work charts the progress of the war in Britain as a whole, in London and, in particular the area of north west London covering Barnet, Finchley, Friern Barnet, New Southgate and Whetstone. RRP £15.99 - order online via Amazon. THE FRIERN HOSPITAL STORY by David Berguer. In the early 1800s the ill treatment of people suffering from mental illness started to undergo a change, particularly with the abolition of the use of restraint. This, together with a huge increase in the population of workhouses, in which many pauper lunatics were incarcerated, led to the Government of the time forcing local authorities to open large, purpose-built lunatic asylums. One of these was the second Middlesex County Pauper Lunatic Asylum at Colney Hatch (the first Middlesex asylum had been built at Hanwell in west London). The story of the Colney Hatch asylum, from its planning, design and building to its operation and the treatment of mental illness and, with the arrival of a new policy of “care in the community”, to its subsequent closure and later conversion into luxury apartments, is covered with the help of many photographs and illustrations. As well as source material from the comprehensive Victorian and later archives, the work includes a number of interviews with people who worked at the asylum and patients and local residents whose lives were affected by it. Although this history is of one particular asylum, its rise and fall is typical of the many such buildings throughout the country and is therefore of interest to anyone interested in the social history of mental illness and its treatment over the last 160 years. 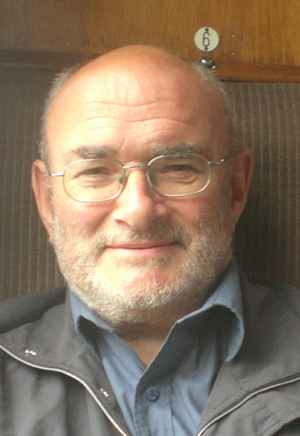 David Berguer spent all his working life in the advertising agency business, and on retirement in 2000 helped to form the Friern Barnet and District Local History Society. As well as his interest in local history David is an avid Spurs supporter and a lover of modern jazz and books. His lifelong interest in transport led to his writing Under the wires at Tally Ho, a history of electric street traction in North London. 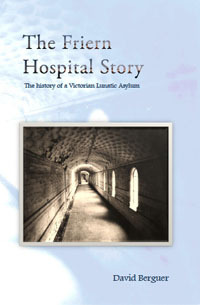 This was followed in 2012 by The Friern Hospital Story – the history of a Victorian lunatic asylum. David is married and lives in Whetstone, about a mile from Colney Hatch.